Every Wednesday at 9:13 am, one of Pittsburgh’s finest music writers joins me (Cindy Howes) on the Morning Mix to play a couple favorite new songs and share some insight. Today we welcome Scott Tady! 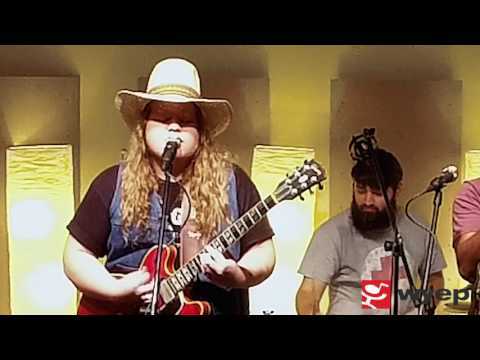 In case you missed it here’s what he played with commentary by Scott: Delta Saints, "Bones" - Swampy, bluesy, rootsy rock from a Nashville band that cites My Morning Jacket, Band of Horses and the Black Keys as influences. This is the title track (chorus: "Be the wind, not the willow") to their solid album that comes out this Friday. Silverbird, "Lyfe" - Starts with a indie-rock shuffle & jangle, before some reverb-y guitar and then a blissfully simple verse: "I want to love you forever/I want to be your best friend/I want to lay with you in a garden..." Halfway through, though, the song kind of peters out dreamily ... leaving you to wonder is it over? Nope, this NYC band comes crashing back again at full speed. The singer is Tim Barr from Lana Del Ray's band, so you can expect a little drama and trippyness. Their debut album comes out in September, and I hope it offers a lot more of this.